The fruitiest of fruity marshmallows, including three Great Taste Award winners! 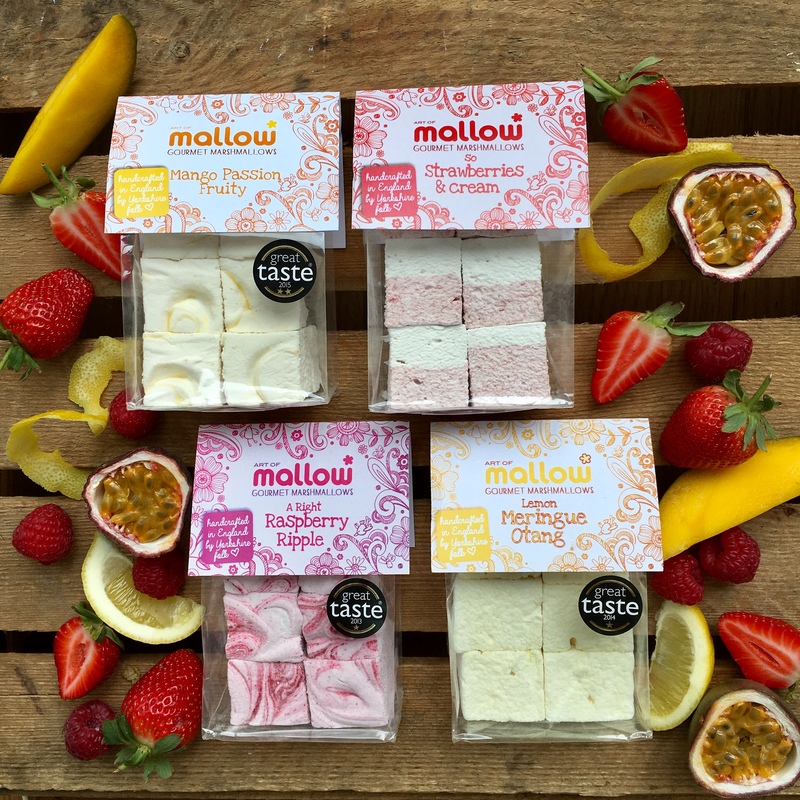 These marshmallows are all made with real fruits and no artificial flavours. Raspberry ripple marshmallows: Sugar, water, glucose, beef gelatine, raspberries, salt, cornflour; Strawberries & cream marshmallows: Sugar, water, glucose, beef gelatine, strawberries, vanilla extract, salt, cornflour; Mango passion fruit marshmallows: sugar, water, glucose, beef gelatine, mango puree (3%), freeze dried passion fruit (1%), salt, corn starch; Lemon meringue marshmallows: Sugar, water, glucose, beef gelatine, lemon juice, lemon extract, natural yellow food colouring, salt, cornflour. What can I say...? These marshmallows are the best-large,unctuous and squidgy (in the best possible way). I buy them regularly for my 90 year old mum...she is a total fan!! As am I..! The best coconut marshmallows I have ever tasted ,so light and yummy . This product of gingerbread marshmallows is amazing, incredibly addictive. The product of gingerbread marshmallows are just wonderful and very addictive. I would however appreciate some sort of discount for a regular order, as a pensioner, I’m finding it extremely expensive. Can't comment on taste as they are a gift for my granddaughter age 8 who loves marshmallow and chocolate, I can say they look delicious. Will get back to you if I'm lucky enough to have a nibble!! Finally found marshmallows that taste as good as they look. Didn’t last very long in our household. These were my favourite sweets and I hadn’t had any for years as you don’t find them in the shops. The best Marshmallows I have ever tasted. 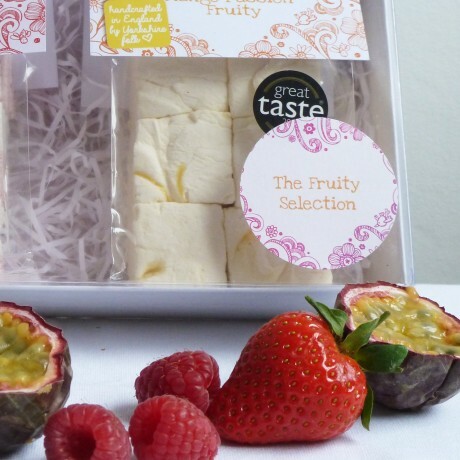 Gourmet marshmallows hand crafted in Yorkshire.